First off, happy Easter all! Or I suppose happy Passover or happy regular ol’ Sunday if you will. Second, it’s been seven long weeks since my last book haul, seven weeks full of all sorts of goodies. Third, I’ve really been enjoying the monthly recap posts that I’ve been seeing around as of late, particularly Jamie’s which are fun and fresh, so I thought if I was down to monthly book hauls anyway, I’d do it all in one…but you know, heavily truncated (at least for March) because of the ridiculous amount of books. Here we go! Splendors and Glooms by Laura Amy Schlitz–I’ve already reviewed this one and loved it! But of course, that was the print edition. 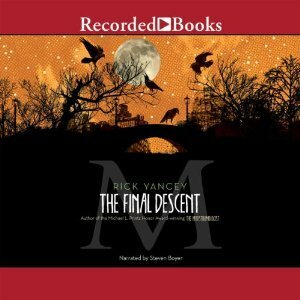 I’ll be rereading it as an audiobook for the Audies, and probably doing a quick mini-review for the production itself. Wonder by R.J. Palacio–I posted my review for this one on Friday. I can see why so many people have loved this one, but honestly I did not. Still, I ended up liking it more than I expected early in, so win? The Freedom Maze by Delia Sherman–I’ve finished this one already as well and it was absolutely marvelous, book and production both. It’s going to be hard pressed to beat out The Freedom Maze for my Audie vote! My review for this one should be up later this week. The Betrayal of the Blood Lily by Lauren Willig–Book 6 in Willig’s Pink Carnation series, and my favorite thus far!! I’m seven books in at this point, I did review The Mischief of the Mistletoe at Christmas, but clearly I need to get on at least mini-reviews for the rest. If I don’t, just know this historical romance series has my stamp of approval. The Orchid Affair by Lauren Willig–Book 8, haven’t listened yet. Moon Called by Patricia Briggs–Book 1 in the Mercy Thompson series, which I experienced insta-love with. This is starting out at a pace to make it one of if not my favorite UF/PN series. Blood Bound by Patricia Briggs–Book 2, haven’t listened yet. Froi of the Exiles by Melina Marchetta–You probably know by now I’m participating in Hannah’s Lumatere Chronicles Read Along, and right now we’re about 4/5 of the way through Froi. I’ve had mixed feelings about the series so far, but can’t help but enjoy Marchetta’s astounding ability to flush out each of her characters. Infinite Jest by David Foster Wallace–Still slogging along for this read along with the Jesters! We’ve had a few casualties (and maybe just some injuries), but we’re over 700 pages in at this point–the end is in sight…or at least there’s a faint light at the end of the tunnel. I have to say I’m really enjoying this one, even though it’s a tough read. I’m especially enjoying having people to discuss it with so half of it doesn’t fly right by. I doubt I’ll review this at any point because there’s just too much, but I do recommend it. The Diamond Age by Neal Stephenson–Cyberpunk (that’s like futuristic Steampunk for those of you unfamiliar with Stephenson’s work) at its finest. This book. Is. Awesome. I’m kicking myself for waiting like 4 years after reading Snow Crash to pick this up. I’ll be posting a Retro Friday review for it soon. 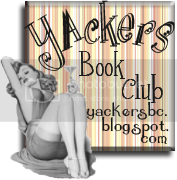 Tiger Lily by Jodi Lynn Anderson–This was our YAckers pick for March! I had some trouble getting into it initially, but ended up really falling for it in the end. A beautiful and real reflection of young love. A Natural History of Dragons by Marie Brennan–My beloved book buddy Alyssa picked this one up for both of us on a recent Book Barn trip. Quite excited to read it with her after I finish that fatty up there (Infinite Jest). Midwinterblood by Marcus Sedgwick–I recieved this as a thank you for participating in the Midwinterblood tour. Given that I enjoyed it so much, I’m quite happy to have it on hand. Thanks Macmillan! The Road Home by Ellen Emerson White–This one is out of print, but after hearing amazing things I was unable to ignore from fellow YAckers, I had to track down a copy (hence it looking like a library book–it was). The Governess Affair by Courtney Milan–I’ve come to love Courtney over the course of The Lizzie Bennet Diaries, largely due to her responses and thoughts on the series. So of course I need to give her historical romance a go, particularly when I have friends who’ve enjoyed. Nothing like a novella to start myself off! Scarlet by Marissa Meyer–I couldn’t for the life of me understand why Jasmine had bothered to send me back the copy of Scarlet I’d sent her, until I opened it. She got it signed for me!!! Thank you SO much Jasmine, seriously, you are unbelievable. The Hero’s Guide to Storming the Castle by Christopher Healy–I’ve already read this one and passed it along! 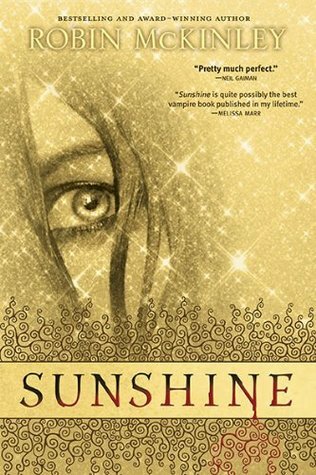 So much fun, I love this series, great fairy tale middle grade fun with villains I think I like even more than the heroes. I’ll be reviewing this one closer to release, as well as doing an artwork reveal mid-month. I’m also kind of ridiculously excited about School Spirits, I have to admit. It’s the spin-off series to Hex Hall, and it features exactly who I was hoping it would–Izzy! That’s it for me and March! Here’s hoping for some sun and great reads come April. Thanks, Keertana! I’m excited about LitToGW too–especially since I’ve decided to do a project on the Odyssey for September, perfect timing! I JUST started Iron Kissed today, and I know I’ll love it. Then I’m going to start in on Alpha and Omega. I’m actually quite excited about School Spirits too! The Hex Hall books were almost guilty pleasures for me, though I did have a lot of fun with them. I’m glad to see Finnikin of the Rock make your top 5 March reads. I loved the whole series, though Froi was probably my favourite. Oooh, I’ll be watching to see what you think of School Spirits, Sam! They’re totally fun books, surprisingly humorous and quick, I was really excited about Izzy. I’m working my way through Quintana now! Wow… tons of great books this week, I don’t even know where to start! lol Splendors and Glooms is on my TBR, I hope it’s a lovely audiobook I may have to check and see if my library has it! Courtney Milan is one of my most favorite historical romance authors, she writes the most fantastic books! The Fury is HUGE, holy moly. I really loved Splendors and Glooms, Bonnie! I’m sure it’s wonderful on audio, though I still haven’t gotten to it. I’m loving historical romance lately, and just about out of Lauren Willig to read, so I’m excited to move to Milan! And yes, The Fury is frigheningly huge. You have THE ROAD HOME. You’ve certainly been a busy bee this month! I shall have to read a bit back through your achieves to see how you felt about WONDER and others. Yeah, I didn’t end up loving Wonder at all. D: There WERE some great ones though! Great haul, Heids! Yay for a signed Scarlet, I hope Marissa comes here next year for book 3! And the title of The Cheshire Cheese Cat has me wanting to read /listen to the book! Oooh, that would be so awesome if she headed to Australia for Cress! I was bummed I missed her Brooklyn stop because I was out of town, so I was SO HAPPY that Jasmine got my ARC signed for me! I’m so glad to hear you liked LitToGW, Heather! I haven’t read any Francesca Lia Block before, though I actually own the Weetsie Bat books–maybe this will get me to pick them up? Wow – you’ve been busy in March. Anyway. I’m so glad that you liked Storming the Castle! I’m reading it right now and am really enjoying it. I know what you mean about the villians in the series – The Bandit King is totally awesome. Oh, and I am getting a kick out of the Gray Phantom (is that his name? I’m blanking at the moment). But my absolute favorite character is still Duncan. I am loving seeing him and Snow White interract in this one. Okay, I’m going to stop talking about Storming the Castle now Can’t wait for your review! I got The Fury and Mortal Fire too. I can’t wait to read them both and I actually just scheduled them for review in my queue so yeah. Yay for the signed copy of Scarlet. That’s awesome! It’s such a great book too! Isn’t The Fury a chunckster?! I find it totally intimidating. o.O I’ve heard great things though. I’m not sure about Mortal Fire, but the cover was too good for me not to be interested.